Spot loves visiting Grandma and Grandpa! He helps Grandpa in the garden, and even finds Mum's old ball to play with, until . . . oh no, the shed window is broken! Never mind, there's time for a story before Spot goes home. With fun flaps to develop fine motor skills and an adventurous story to encourage curiosity and exploration, this book is perfect for early learning and play. If you loved this, try Where's Spot?, Spot Goes to School and Spot Goes to the Park for more lift-the-flap fun! 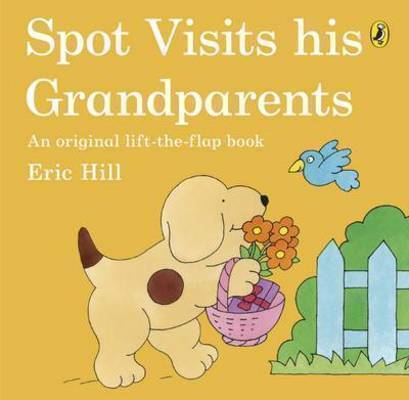 Suitable for toddlers and children learning to read, this title presents the classic Spot lift-the-flap story.